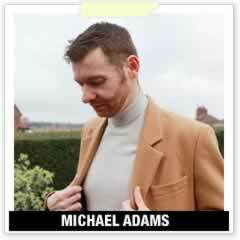 We respect your privacy by browsing michael84.co.uk (“the site”, “the blog”, “us”, “we”). By using the site, you agree to us placing these sorts of cookies on your device. If you wish to delete any cookies from your device you can do so by visiting the ‘help’ section of your browser, which should provide instructions on how to remove the cookies from your browser. We use an SSL certificate on the blog. This provides a secure connection between your computer or device, and the site. We allow comments on the blog. You are able to provide a username and email address if you write a comment. We may use other forms such as newsletters, competitions or polls, where you provide information. Further information is provided on each and any competition. If you contact us via email or other means, we may keep a record of this correspondence.